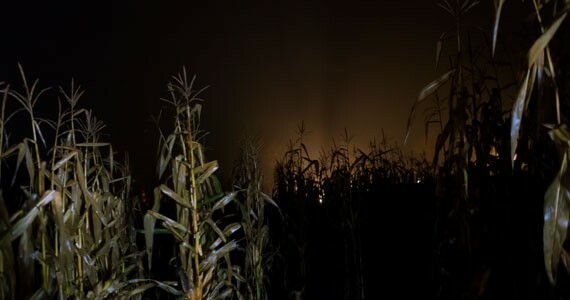 The Reality star and haunted corn maze purveyor on scaring people for a living. Farmer Blois both out of costume (left) and dressed up to scare. Halloween is a time for candy, jack-o-lanterns, dressing up and that dancing pumpkin man that circulates online every October. It's also that time of year where thousands of people trek out to haunted attractions all over the country and pay to be terrified. Emmett Blois is one of the people happy to offer that service. 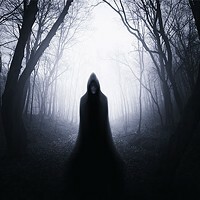 He runs one of Nova Scotia's scariest attractions, fittingly located in the small rural community of Gore, in East Hants. "When you're with people, you're comfortable. We try to bring you out of your comfort zone. 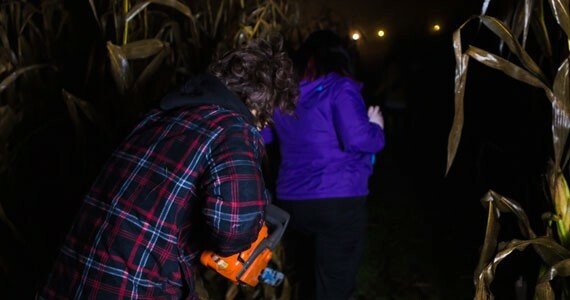 Everyone's tough—until they're by themselves," says Blois, the owner of the Nights of Gore corn maze. 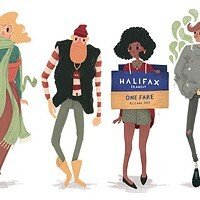 Blois is a past contestant on The Amazing Race: Canada and Big Brother Canada, something he admits has helped bring in new customers. But before he was a reality TV star he was jumping out from the corn, startling visitors every October for the last four years. The attraction is run by a small group of dedicated friends and community members. Among the actors is Blois' mother, who's been scaring patrons from the beginning. There are 21 actors hiding in the maze each night in full costume, sometimes even following and chasing patrons in plain sight. "There are a lot of clowns in here right now," says Blois. "We put clowns in, and everyone hates them. We get a lot of people who message us on a daily basis saying, 'We'd love to come, but will there be clowns?'" Blois' go-to costume is right out of The Texas Chainsaw Massacre, which is played on a big screen outside the entrance. 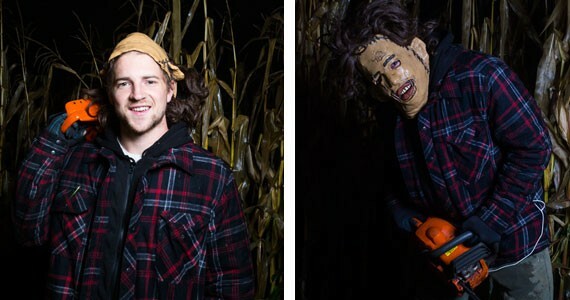 He jumps out from his hiding spot in the thick of the corn maze to chase down hysterical patrons with a chainless chainsaw. "I have a couple of different spots, so I scare them once up there," he says. "If they come in a big group, I'll wait for the front few to go by and then I get the ones in the back, because they've walked through and they've seen the people in the front not get scared—like, 'I'm gonna get you!'" Like many of the other actors, Blois has been hit and punched in the face more than a few times by paying customers, but it doesn't seem to bother him. "People are just scared" he says. "It's that 'flight or fight' thing." Some people have lost their footing and fallen while he's chasing them, but Blois says he doesn't help them up. "It depends on my mood. Sometimes when people fall I'll straddle them with the chainsaw, but sometimes I take it easy," he says with a laugh. When he isn't swinging his chainsaw at people in the thick of the corn, he's taking phone calls from patrons asking for directions and doing maintenance around the farm. "I run security too," he says, "so if we have an issue in the maze I just get called over and deal with that." Nights of Gore is open from Friday to Sunday from 7:30 to 9:30pm throughout October. Tickets are $20. There is no age requirement, however parental discretion is advised. There are no refunds. 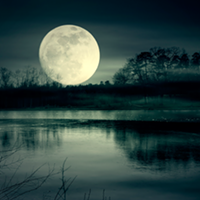 Three terrifying tales from the winners of Dalhousie's Varma Prize for short gothic fiction. 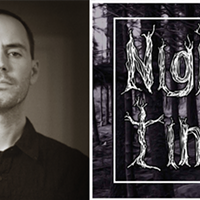 The host of the Night Time Podcast shares some of his favourite true crime and horror episodes from around the internet. 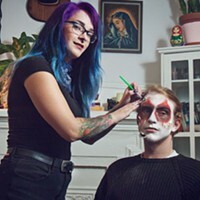 The local expert on putting on a face breaks down how to clown in time for Halloween.